I have been eating a big beautiful salad for one meal a day since I adopted a whole food plant based lifestyle in 2013. It was one of the recommendations of Dr. Joel Fuhrman in his Eat To Live book. That was the first WFPB (whole food plant based) book I read. How I make those salads has evolved over time. I used to get out all the ingredients each day and make our daily salads. Some days I dreaded the task. Once in a while we would opt for something easier that didn’t require all that chopping and prep work but then our greens would get tossed because we didn’t get them all used up. I was already batch cooking the rest of our food why not our salads too? What is the difference between having the supplies all separate in the fridge verses assembled into individual salads? Hence batch prepping salads was born. Automate your food choices by planning and prepping food for the week ahead. My life is so much easier by having a big beautiful salad every day. I don’t have to think about what I am going to eat for lunch, I know it’s going to be a salad. Since the salads are prepped ahead it’s a given that I will eat it. When we are tired or hungry we will grab the easiest thing to eat. For me for lunch that is my salad. It is also a wonderful way to get in a large amount of healthy raw vegetables, lots of fiber, nutrients and antioxidants. It is a boost of nutrition for my body everyday. It is said that we crave what we habitually eat. I have found that to be true. I look forward to my salad everyday. 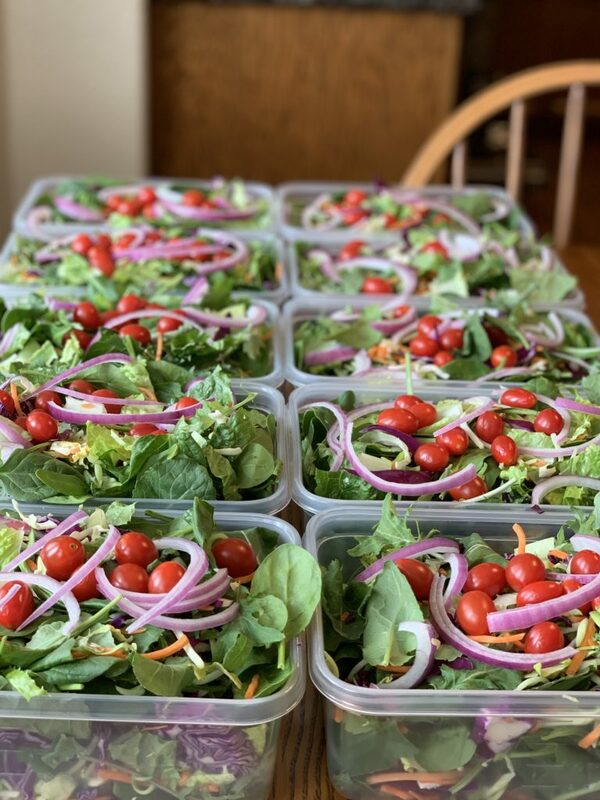 This is what I currently put in my batch prepped salads each week. I do purchase as much already washed and ready to use organic produce as I can. 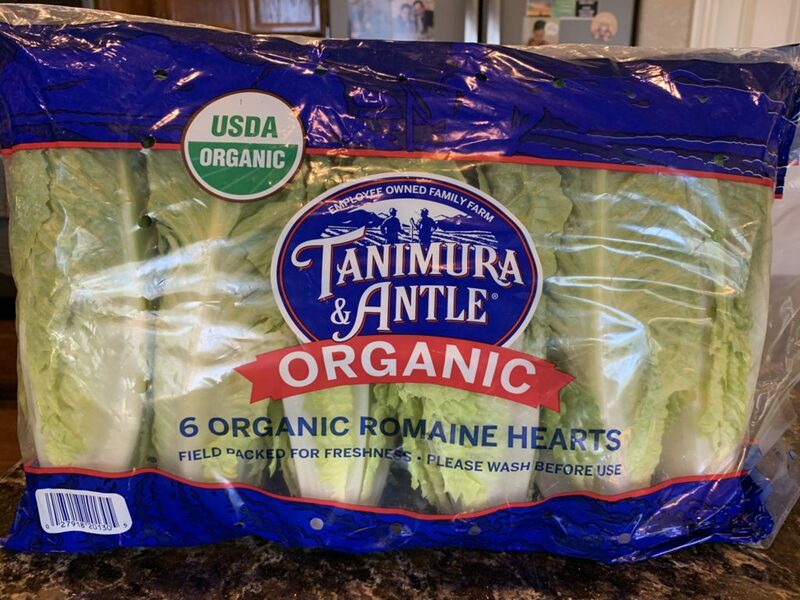 However, I buy heads of organic romaine lettuce and wash and cut it myself as I find that it lasts longer than pre -cut romaine. Everyone asks me how long will these salad last? That all depends on how fresh the ingredients are that you use. I buy the ingredients and make my salads usually the next day. Making sure the expiration dates on the pre washed produce are beyond the time that I will eat the last prepped salad. Also make sure the ingredients are not too wet as that moisture will cause the greens to to go bad. 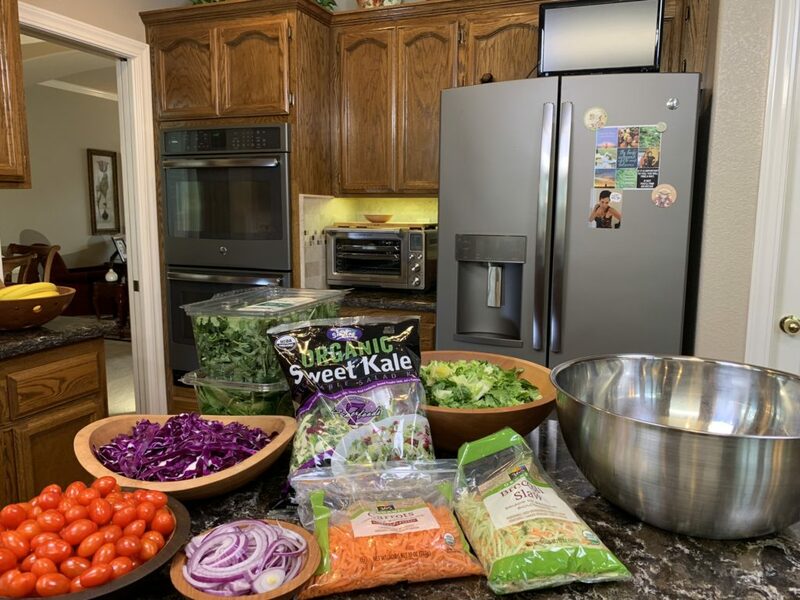 We hope you enjoy the video for Simple Salad Batch Prep. You don’t have to use the exact same ingredients I use for salads. Use this concept as an idea for your own batch prep salads. Incorporate your favorite greens and raw vegetables and find a combination that is pleasing to you. 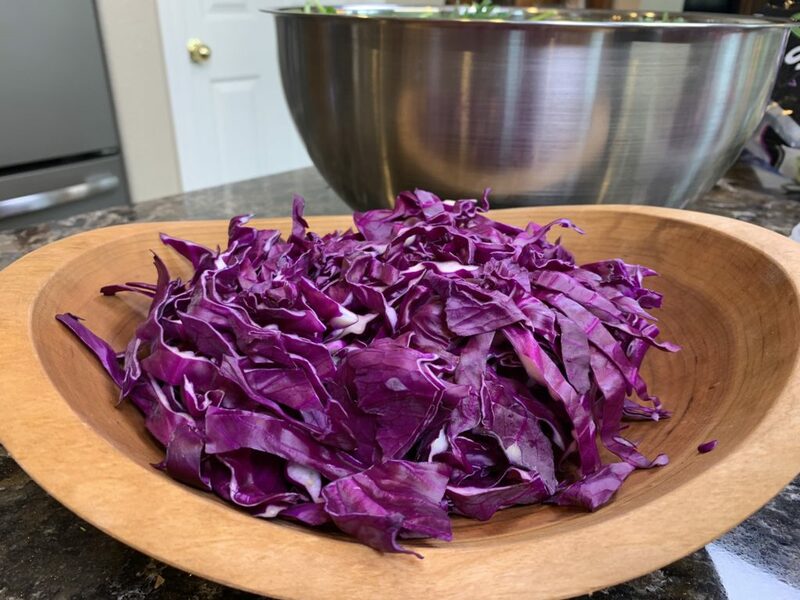 I buy a large organic red cabbage and slice it myself. 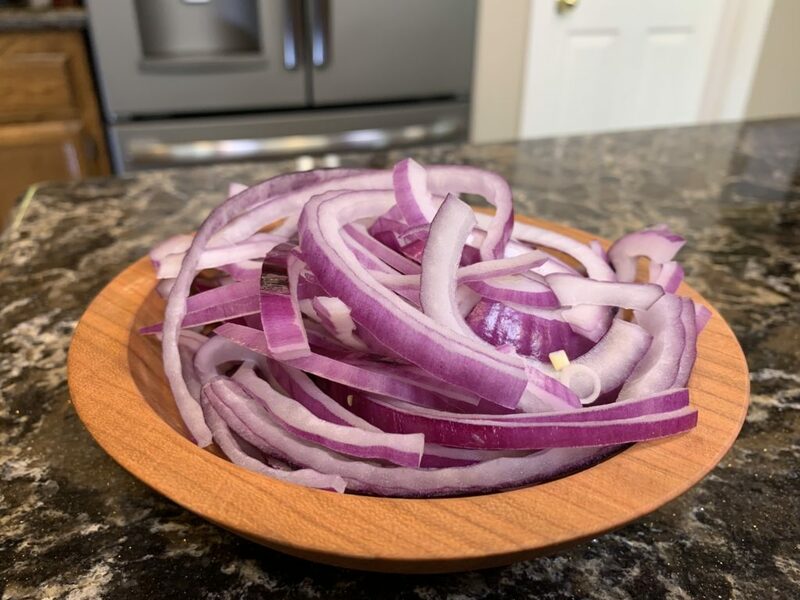 Organic red onion has more antioxidants than white or yellow onions and it looks pretty in the salad. 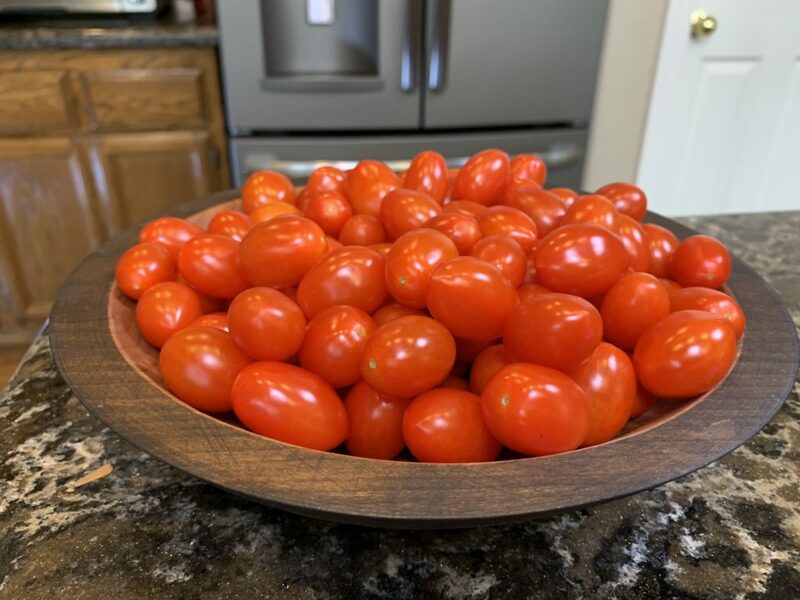 I wash the organic tomatoes as soon as I get them home. Let them dry on a kitchen towel then put them in bowl on the counter. Wash, dry and chop the romaine. 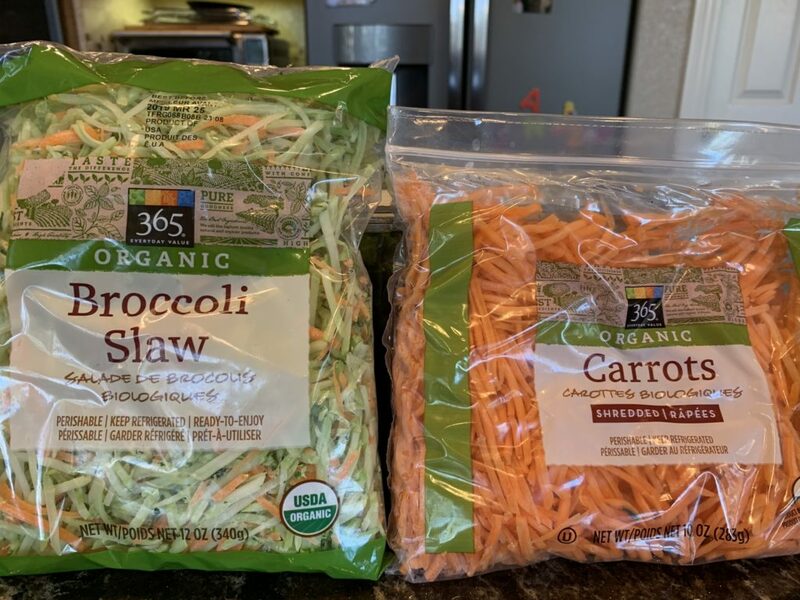 Ready to eat organic Broccoli Slaw and organic shredded carrots. 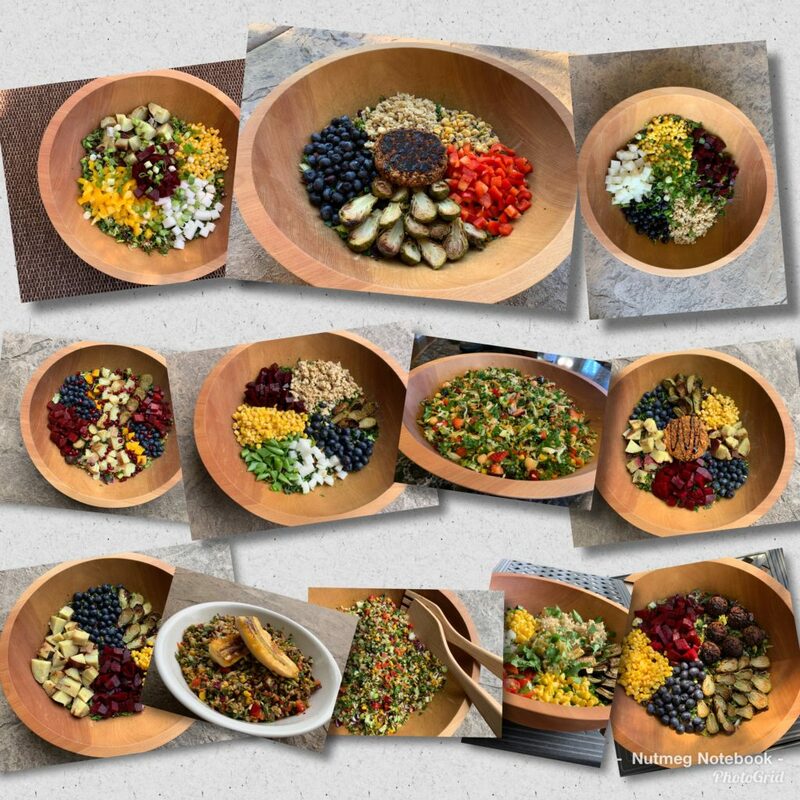 Although these salads are good just like this I like to transform them into incredible chopped salads with a variety of amazing ingredients. I can have an entirely different tasting salad everyday! 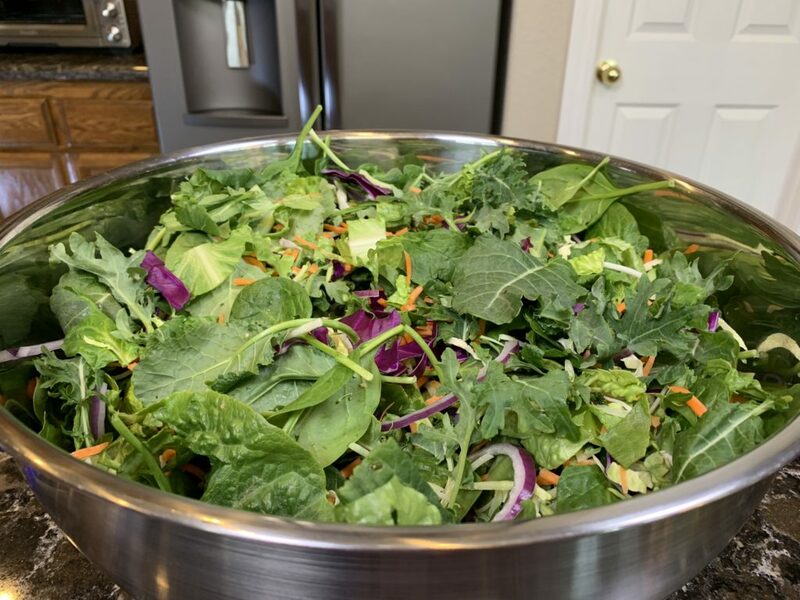 In my next blog post and video I will show you how to take one of the batch prepped salads and transform it into an insanely delicious chopped salad! See the blog post and video here How To Chop A Salad In A Holland Bowl. If you use our affiliate links to purchase items you help support our work here without any extra cost to you. Thank you for your support. We have an Amazon Recommendation Page where we showcase our favorite kitchen gadgets, small appliances, books, seasonings, hiking gear and fun things for the grandkids. 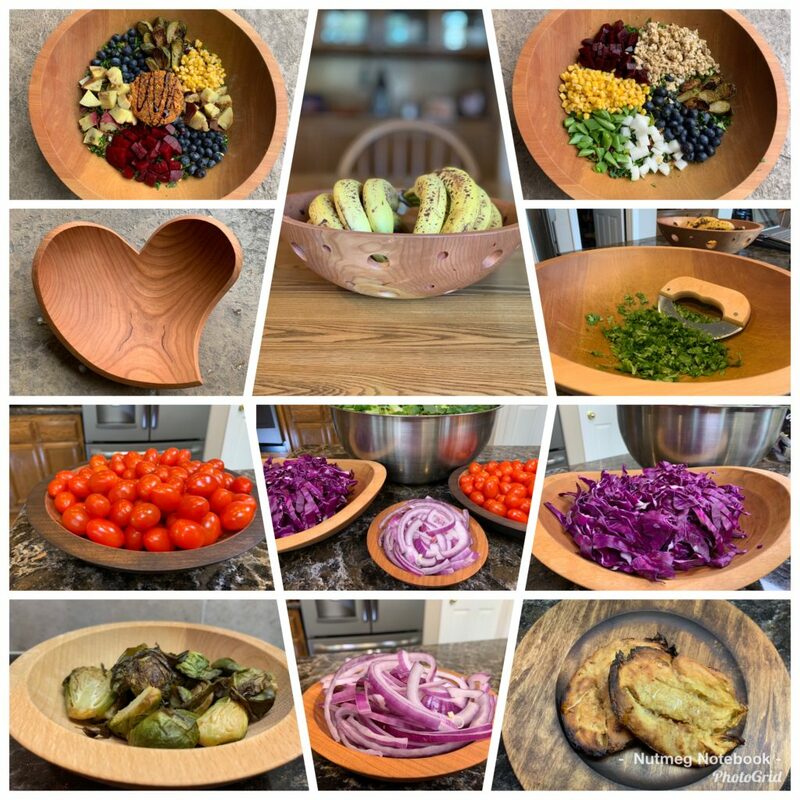 If you are interested in any of the Holland Bowl Mill hand crafted bowls made in Holland Michigan please use our affiliate link for your purchases. With our link and a minimum $125 order you will get a free mezzaluna knife! The bowls have a lifetime guarantee and can be personalized for free with engraving on the bottom. Holland Bowl Mill Link. We use the Holland Bowl Mill products daily in our kitchen. I was wondering if you ever use Spring Mix Mesclun? It’s a diverse variety of lettuces in one box. As a matter of fact, I think it has them all in there, making purchasing salad ingredients more convenient. As soon as I get home I put 2 paper towels on top of the lettuce, close the lid and put it upside down in the fridge, so the paper towel is now on the bottom. I find that this acts as a kind of desiccant, pulling moisture from the lettuce and it keeps 3-4 days longer. When I start batch prepping, I will do the same with the ziplock containers. I do have a Holland Bowl and love it, and thanks to you, I got a free mezzaluna knife. 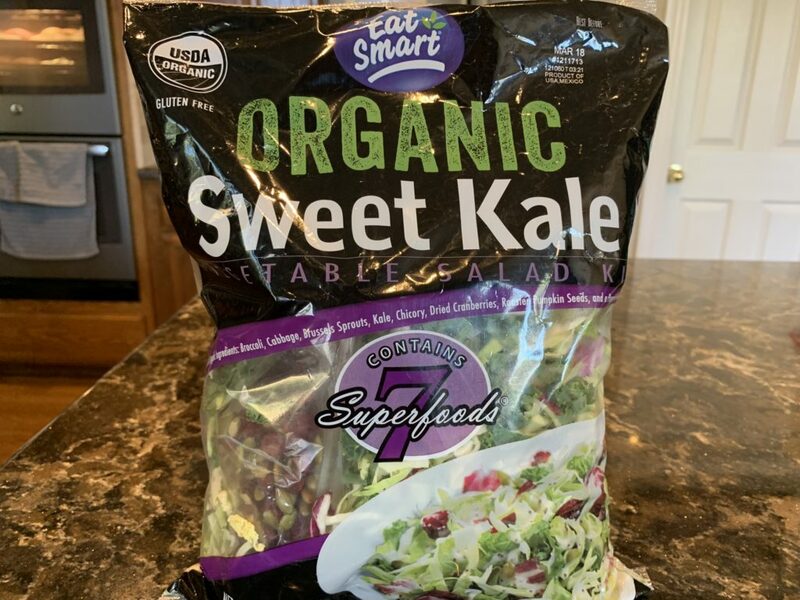 It sounds like you have found a great way to make your Spring Mix last longer. Bravo! I am delighted that you purchased a Holland Bowl and love it! Thank you for supporting our work here on the blog we truly appreciate. Chopped salads are amazing and it’s so much fun for us to share them with the plant world. Thank you so much for taking the time to leave us such a nice comment. We love getting to know our subscribers and hearing how you make this lifestyle work for you. I love your videos and through those, your blog. Your tips are so helpful and thanks to your video about the big beautiful salad, I’m now batching them as well. I also bought the Holland bowl and got the free knife. I love my bowl!! So thanks so much and keep up the great work! I am so delighted that you like the blog and videos. 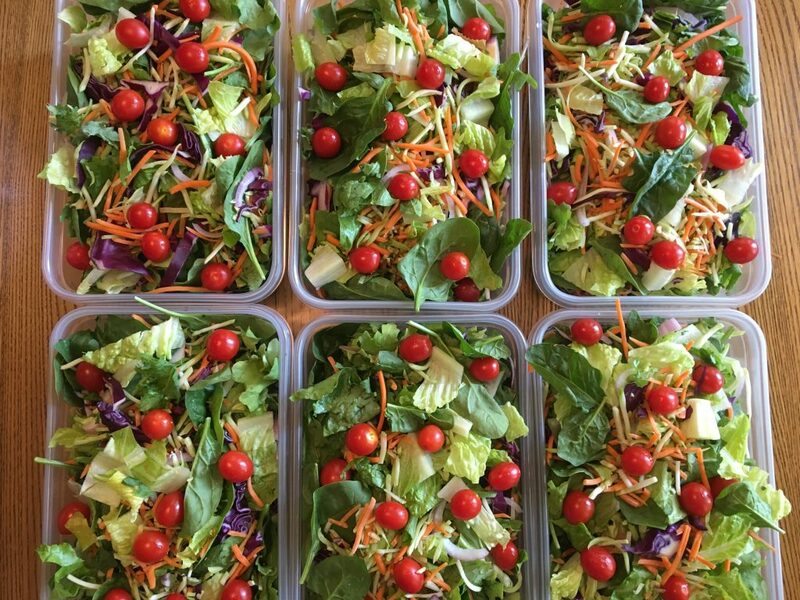 Yeah to batch prepping salads – it really helps to have them ready to go. Thank you for using the affiliate link for your bowl and for the support of our work here. It makes me happy that you love your bowl. I really appreciate you taking the time to let me know – you got my day off to a good start! I’m so inspired by your approach, simple and yet great variety in the results. I’ve prepped for batch prepping, got the right size bowls, containers, etc, but still not done it. I realize why, and so have a question. I want to take the salads to the office, but I’m certainly not going to be able to do all that chopping there. Most days lunch is at my desk fast and furious between meetings. Do you think if I did the chopping part 5 hours beforehand (I leave for work around 7am), that it would all still be okay by noon or 1pm? Or would it just be mushy by then? I could save any dressing to put on at the time I eat it, not in advance. You can chop your salad in the morning and it will be fine at lunch. Just don’t add the dressing or vinegar until you are ready to eat it. I have had a couple people tell me they chop it the night before to take with them the next day and they are fine with the results of doing it that way too. So give it a try and see what works for you! The chopped salads are so amazing – wait until you taste it! You will wish you had started this long ago! I’ve just discovered your channel and blog and I love it. Thank you so much for sharing. Is the 1 lb container for both you and your husband? Or do you eat 1 lb of salad for lunch? Thanks again for your great recipes! 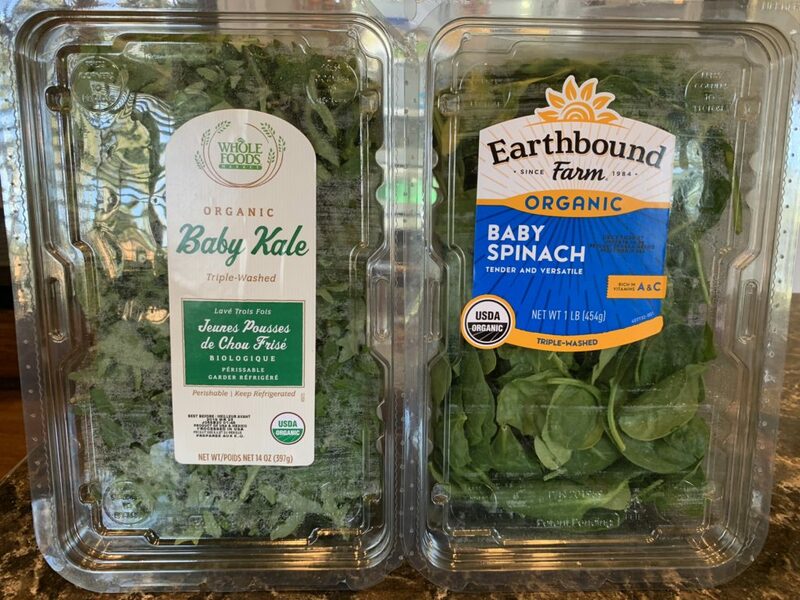 We each eat one of the containers ourselves – yes we eat one pound of salad each for lunch!